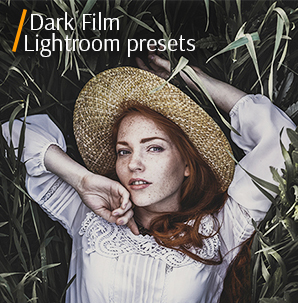 Looking for high-quality free Lightroom presets for portraits that will make your outdoor and studio photos pop in several clicks? FixThePhoto offer 20 Lightroom presets for portraits that are a great photo editing tool both for hobbyist and experienced photographers that can greatly enhance the look of the image just in several seconds. In fact, you may use a suitable preset and turn your dull ordinary portrait into a pop shot without easily. There are many beautiful Lightroom preset bundles designed by FixThePhoto, so you are sure to find cool Lightroom filters for children, wedding, studio, group, selfie, and other portrait photos. Using our Lightroom presets for portraits, you can make the picture softer and lighter, change skin color, add a glamorous touch, remove darkness, reduce noise, enhance the model’s beauty and keep the portrait realistic. These best Lightroom presets for portraits are absolutely free, so you can download them and use any time you wish. Lightroom Preset Portrait #1 "Contrast"
Clean Lightroom preset is an amazing plug-in for all portraits taken in the studio. It will help you balance lighting, correct white balance, brighten and add a clean look to your images. It is also very effective if you need to smooth the skin tone in the image. Lightroom Preset for Portrait #2 "Saturation"
If you wish to accentuate cold colors in the photo, apply this Lightroom preset for portrait. It helps a lot if there are many blue tones in the image, so you can make them more prominent, which affects the overall mood of the shot. This filter will be of little use if you want to enhance a portrait taken in the studio, so it is advisable to experiment with outdoor photos only. Free Lr Preset Portrait #3 "B&W"
This is probably one of the most popular free portrait Lightroom presets, which helps not only to improve the picture but also show some emotions and feelings. Without many colorful objects distracting attention from your model, you can highlight his/her peculiar features and “tell” a certain story. Be careful and apply this Lr filter only to portrait with one or 2 people posing against a plain background. Otherwise, you may get a somehow cluttered photo. Adobe Lightroom Preset #4 "Wind"
If you think that your image lacks vibrant colors, hurry up to apply this Lightroom preset portrait. The image will acquire yellow-green tone, which adds the joyful atmosphere to the shot. Be very careful if you edit portraits taken outside, as the coloring may be slightly distorted. Free Lightroom Preset #5 "Sun Flares"
Give your outdoor travel portraits sunny mood, warmth, and clarity with this free portrait Lightroom preset. Play with the contrast and white balance to deliver truly gorgeous results. Don’t use the preset for studio pictures, unless you want to destroy the original look and get the unrealistic result. Lr Preset Portrait #6 "Matte"
This Lightroom preset works for about any outdoor portrait with lots of colors. It intensifies the overall coloring, affects vibrance and saturation, which makes your images stand out. Highly recommended for travel portraits with a landscape background. Free Lr Preset Portrait #7 "Cold Shadows"
This Lightroom preset for portraits may add a mysterious touch to your photos. It increases contrast and works best on slightly underexposed shots. Use it for portraits taken in rain or snow. Lr Preset for Portrait #8 "Old Style"
Old Style preset is designed to soften the background of the portrait, so your model pops out. You may try it on a variety of portraits, but it is advisable to use close-ups to make the facial features and emotions of a person more detailed. Free Lr Preset #9 "Cinematic"
Want to give your photos a kind of nostalgia? Need to make shots moody? Apply this one of the best Lightroom presets for portraits and let your clients admire the gorgeous result. Highly recommended for street portraits in gloomy weather with the architecture background. Free Adobe Lr Preset #10 "Nature"
Filter #10 will be of great help if you need to smooth skin of the model realistically. It makes the picture stunning, reducing distracting shadows and adding warm tones. The Lr preset is a great fit for outdoor portraits taken in the morning. Lightroom Preset for Portrait #11 "Fall"
The preset adds fall motives to your portraits. It increases the contrast and intensifies orange, red and yellow colors. Be attentive with the way it affects cool shades, as you may need to slightly customize this free Lightroom preset for portraits for natural skin tone. Produce a peculiar retro look with dramatic shades in your photos. If you like an elegant vintage look that evokes memories of the time of the film, choose this filter. It may enhance both outdoor and studio images. Free Lr Preset Portrait #13 "Old Style"
Some portraits, mainly those taken against a beautiful background, look gorgeous if you slightly wash out colors, so they look as if been printed on a matte paper. You can achieve these look by dint of Matte portrait Lightroom preset. Highly recommended for backlit portraits. Lr Preset Free Portrait #14 "Sharpening"
Want to get amazingly sharp portraits? Apply this preset. It helps bring even the smallest details into focus and sharpen blurred parts of the portrait. Use it if you have a close-up portrait to make eyes be in sharp focus. Lightroom Portrait Preset #15 "Pure"
This is the basic preset for any kind of portrait, be it selfie, wedding, studio or outdoor shot. It softens the blacks and adds a slight split toning effect. Highly recommended for family photos with many people in the frame. Portrait Lightroom Preset #16 "Fashion"
Why not make your portrait glamorous and fashion-like with this Lightroom preset portrait? Thus, you can change the feel of your images, turning them into magazine covers. Free Lr Portrait Preset #17 "Brighten"
It is suitable for images taken outside when the model is posing surrounded by greenery and blossom. It doesn’t ruin the skin color and texture, it brightens nature background and makes the photo’s overall look better. Lr Portrait Preset Fee #18 "Pink Glasses"
Add a surreal pink effect to portraits with this pretty preset for Lightroom. Choose the photo in cold colors, so they become livelier and clearer. Preset Lightroom Portrait #19 "Best"
Give your portraits a vibrant look adjusting all basic parameters. The preset is amazing for any portrait as it will highlight the natural beauty of a person and enhance colors at the same time. Lr Preset Portrait Free #20 "Darken"
If you think that your photo will look more interesting with darker colors, apply this filter. Still, don’t overdo with it, not to get a gloomy portrait. 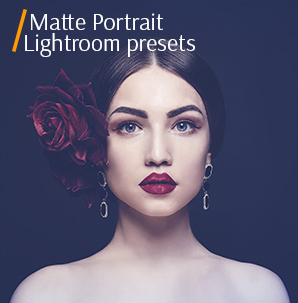 Looking for more Free Lightroom Presets for portraits? 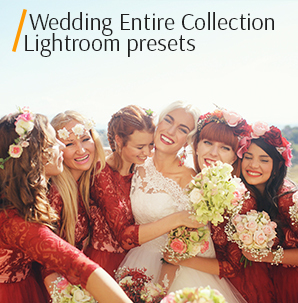 Visit one of these pages to see our new free Lightroom presets collections. Free Lightroom presets for portraits have become truly popular thanks to many useful features. If you haven’t tried them yet, you have a great chance to learn the pros and cons of such LR filters and then decide if you want to download the bundle.